Since the end of 2017, Apple has been offering battery replacements for a discounted price of $29 to appease customers who were upset at device throttling resulting from degraded battery performance. When announcing the new inexpensive battery replacement pricing, Apple promised to offer the discounted price for the entirety of 2018. Now that we're nearing the end of the year, Apple has provided us with an updated support document on what battery replacements will be priced at after the price drop expires. Starting on January 1, 2019, battery replacements for the iPhone SE, iPhone 6, iPhone 6 Plus, iPhone 6s, iPhone 6s Plus, iPhone 7, iPhone 7 Plus, iPhone 8, and iPhone 8 Plus will be priced at $49, up from $29. iPhone XS, iPhone XS Max, and iPhone XR battery replacements will cost $69, as will iPhone X battery replacements, and batteries for all older iPhones will cost $79. 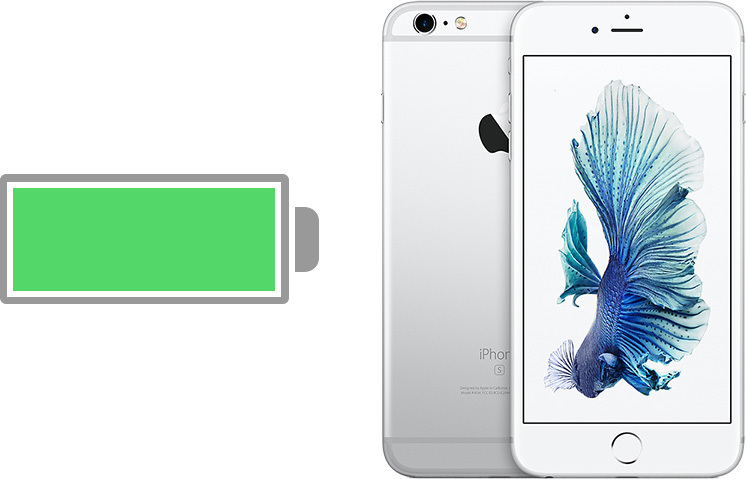 At $49 and $69 for most devices, Apple is dropping the price of its battery repairs overall. Before the entire throttling snafu that resulted in the price drop, battery replacements cost $79. Devices that are under an AppleCare+ or AppleCare+ Theft and Loss plan will not incur a fee if a battery replacement is required. Customers with older iPhones that want to take advantage of the $29 battery replacement pricing should schedule a replacement before the end of 2018 before prices go up. Still reasonable prices. Everyone that needed one at $29 got one or should have gotten one. Except they forced the cancer called iOS 11 on the iPhone 6S that has the battery issue. The $29 for my iPhone 6S+ was the best investment on an Apple product. I did not have shutdown issues, but a battery and iOS 12 make it like a new phone. I was going to replace the battery in my 6S before the end of the year... even though the battery is fine. But with the new regular price only being $49 (versus $79 before), I don't think I'll bother - I won't really need one for another year or two. I'm going to keep this 6S going for as long as I reasonably can. There's just not a compelling reason for me to upgrade, and it's a great phone. I agree -- very reasonable prices. As for replacing mine and my wife's phones at $29, I will do so in early November. Might as well squeeze as much life as possible out of our existing battery! ditto. I have a 7+ and do not see a real need to update to the new phones. I do hope to get a replacement for my iPadAir2 when new iPads are announced. For any one who was not impressed with the new phones and wants to keep an iPhone older than the 7, you should get your battery replaced. Even if you have a 6s, I think it will likely be worth it. If you are keeping your phone for another year, then treat yourself at least to a battery upgrade. But still; finally a fair shake from Apple on repair costs. Even if they had to get caught with their pants down and arm twisted to do it. Yeah, I’m kicking myself for not paying more attention to /r/jailbreak at the time. But I didn’t expect iOS 11 to turn out to be as big a turd as it was. The X battery cost $10 more than the XS? Interesting.